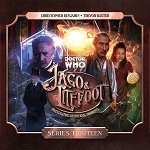 Jago and Litefoot are on the run! Framed for a crime they didn't commit, the infernal investigators seek refuge in a house on Baker Street owned by their old friend, Professor Dark. That's when Doctor Arthur Conan Doyle enters their lives. 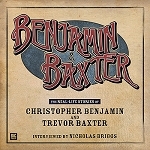 Tired of his popular creation Sherlock Holmes, Doyle has moved onto other works that he considers more worthy. 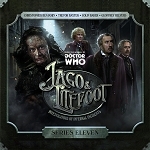 With a murderous beast on the loose, Jago, Litefoot, Ellie and Leela are trapped in Baker Street. And the last act will be a killer. 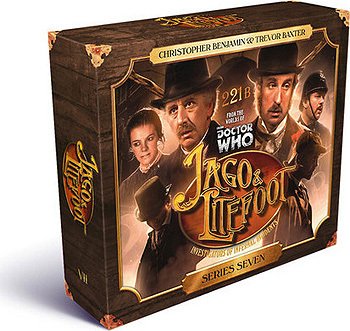 Jago and Litefoot visit Moorsey Manor, hoping to get help from the only man who can help them clear their names. They arrive at a gathering of Sherlock Holmes fans, who are mourning the death of their idol at Reichenbach Falls. The past has come back to haunt former chief inspector Abberline - Jack the Ripper has escaped from custody! 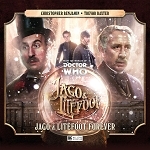 As the notorious killer strikes again in London, Jago and Litefoot are drawn into a web of intrigue.